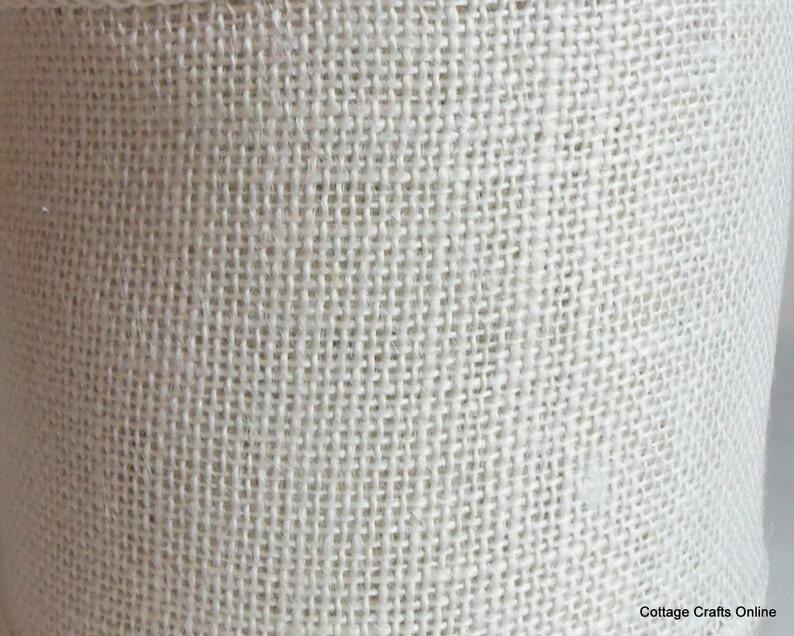 2 1/2" wide white natural burlap ribbon from Offray Lion, 100% jute, with a medium weight wired edge covered in white thread. IMPORTANT: The color shown is approximate, it is not a clear white, it has a muted or greyish cast. We attempt to portray the color accurately; however, the natural fiber and manual dying causes variations which are normal.